Live sports streaming took off in 2018, but viewers still found plenty of issues holding it back. While viewers liked having easy access from any device, they didn’t like the quality concerns that often went along with it. First, a few stats. 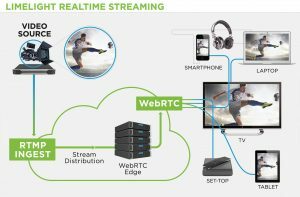 There’s a huge interest in sports streaming, with 60% of consumers around the world saying they would watch sports online if the stream arrived at the same time as the broadcast feed. Limelight notes that sports is the fourth-most-watched type of content online. But live video still buffers, and viewers hate that: it’s the top annoyance for 43%. Also, two-thirds of viewers will abandon a feed after two rebuffers. The next most common problem is poor-quality video, cited as an annoyance by 32%. There was a lot to like in live sports streaming last year, said Steve Miller-Jones, VP, product strategy, Limelight. People streamed an enormous amount of World Cup and Olympics video and were happy with the events’ easy multiplatform accessibility.